We are the leading supplier of Jade Single Bed Massage Mat made from high quality material at competitive prices. 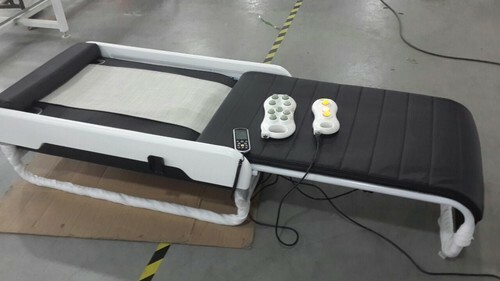 We are one of the leading Manufacturer, Exporter, Wholesaler and Importer of Massage Bed, Massage & Heating Mat and Ceratonic Mat And much more. We are one of the leading Exporter, Importer and Wholesaler of Massage Bed, Massage & Heating Mat and much more. Owing to their optimum performance and longer life, these are highly demanded by our customers.